A Healing Bit of the Old Sod—Ancient Irish Soil Long Reputed to Have Healing Powers Found to Contain Bacterium Strain Effective Against Multiple Antibiotic-Resistant Superbugs; "Answer to Very Modern Problem May Lie in Wisdom of the Past"
Researchers analyzing soil from Ireland long thought to have medicinal properties have discovered that it contains a previously unknown strain of bacteria which is effective against four of the top six superbugs that are resistant to antibiotics, including methicillin-resistant Staphylococcus aureus (MRSA). Antibiotic-resistant superbugs could kill up to 1.3 million people in Europe by 2050, according to recent research. The World Health Organization (WHO) describes the problem as "one of the biggest threats to global health, food security, and development today.” The new strain of bacteria was discovered by a team based at Swansea University Medical School in Wales, and made up of researchers from Wales, Brazil, Iraq, and Northern Ireland. They have named the new strain Streptomyces sp. myrophorea. The soil they analyzed originated from an area of County Fermanagh, Northern Ireland, which is known as the Boho Highlands (photo shows limestone grassland in foreground of the Boho Highlands). It is an area of alkaline grassland (S. myrophorea can grow at pH’s as high as 10.5 and is highly resistant to intense gamma radiation) and the soil is reputed to have healing properties. The search for replacement antibiotics to combat multi-resistance has prompted researchers to explore new sources, including folk medicines: a field of study known as ethnopharmacology. They are also focusing on environments where well-known antibiotic producers like Streptomyces can be found. One of the research team, Dr. Gerry Quinn, a previous resident of Boho, County Fermanagh, had been aware of the healing traditions of the area for many years. Traditionally, a small amount of soil was wrapped up in cotton cloth and used to heal many ailments including toothache, and throat and neck infections. A team of Florida State University (FSU) researchers, together with colleagues from other institutions, has unlocked a decades-old mystery about how a critical cellular process is regulated and what that could mean for the future study of genetics. In cells, DNA and its associated material replicate at regular intervals, a process essential to all living organisms. This contributes to everything from how the body responds to disease to hair color. DNA replication was identified in the late 1950s, but since then researchers across the globe have come up short trying to understand exactly how this process was regulated. Now, they believe they know. FSU’s David Gilbert, PhD, the J. Herbert Taylor Distinguished Professor of Molecular Biology, and doctoral student Jiao Sima are the senior and first authors, respectively, on a report published online on December 27, 2018 in Cell that showed there are specific points along the DNA molecule that control replication. The article is titled “Identifying cis Elements for Spatiotemporal Control of Mammalian DNA Replication.” "It's been quite a mystery," Dr. Gilbert said. "Replication seemed resilient to everything we tried to do to perturb it. We've described it in detail, shown it changes in different cell types and that it is disrupted in disease. But until now, we couldn't find that final piece, the control elements or the DNA sequences that control it." Notably, Dr. Gilbert's professorship is in honor of a former FSU professor named J. Herbert Taylor. In the late 1950s, Professor Taylor demonstrated how different segments of chromosomes duplicate and published more than 100 papers on chromosome structure and replication. Roughly 60 years later, Dr. Gilbert determined how replication was regulated. To test the hunch, Dr. Friedlander's team used genetically modified mice that carried a mutant version of the human huntingtin protein. These mice exhibit symptoms of the disease, including accelerated neuronal death. Their findings were similar to what they had seen in the cells, but more pronounced. There were fewer mitochondria at the ends, and what remained was more dysfunctional than in normal neurons. There was also more activation of caspases, and increased levels of cell death. A hallmark of neurodegenerative diseases like Huntington's is the progressive death of nerve cells in the brain. The cells don't die quickly, though. They first start to disconnect from each other because their neurites -- long finger-like extensions that make connections all through the brain -- become smaller. Now, using animal models and nerve cells grown in the lab, researchers from the University of Pittsburgh (Pitt) School of Medicine suggest a new mechanism dubbed "neuritosis" that might explain neurons shrinking in Huntington's and other neurodegenerative diseases, opening new targets for therapy. The study was published online on December 24, 2018 in PNAS. The article is titled “Mitochondria Modulate Programmed Neuritic Retraction.” Neuritosis is a process that hasn't been recognized or described until now and could play a very important role in normal brain development, aging, and neurodegenerative disease," said senior author Robert Friedlander, MD, Chair and Walter E. Dandy Professor of Neurosurgery and Neurobiology at Pitt's School of Medicine. It all started when Sergei Baranov, PhD, a staff scientist in Dr. Friedlander's lab, noticed an interesting phenomenon in mouse nerve cells that he was growing in the lab. "Their mitochondria, the cellular powerhouses, weren't working as well at the neurite ends" said Dr. Baranov. New research from King’s College London finds that an exaggerated immune response can trigger long-lasting fatigue, potentially explaining how chronic fatigue syndrome (CFS) begins. The study is the most in-depth biological investigation yet into the role of the immune system in lasting symptoms of fatigue. CFS, also known as myalgic encephalomyelitis (ME), is a long-term illness which is characterized by extreme tiredness. The underlying biology of CFS has remained a mystery, hampering the search for treatments. There is some evidence that the immune system plays a role in triggering CFS and many patients report their illness starting with a challenge to the immune system such as a viral illness. By the time patients are diagnosed, it is too late to catch CFS in its earliest stages, and it is impossible to assess the biology of patients before the illness develops. To get around this problem, researchers from the Institute of Psychiatry, Psychology & Neuroscience (IoPPN) used a model for CFS based on a treatment for hepatitis C called interferon-alpha. Interferon-alpha activates the immune system in the same way as a powerful infection. 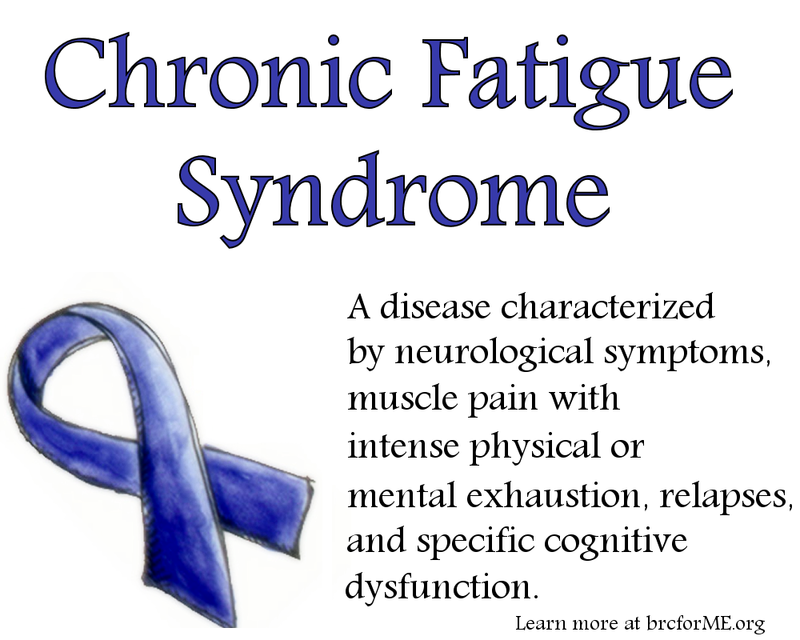 A lot of patients develop acute fatigue during treatment with interferon-alpha and a minority go on to have a CFS-like illness, where fatigue lasts for more than six months after the treatment ends. The researchers measured fatigue and immune system markers in 55 patients before, during, and after treatment with interferon-alpha, tracking which people developed the persistent CFS-like illness. The team found differences in the immune systems of 18 patients who developed lasting fatigue compared to those who recovered as normal. 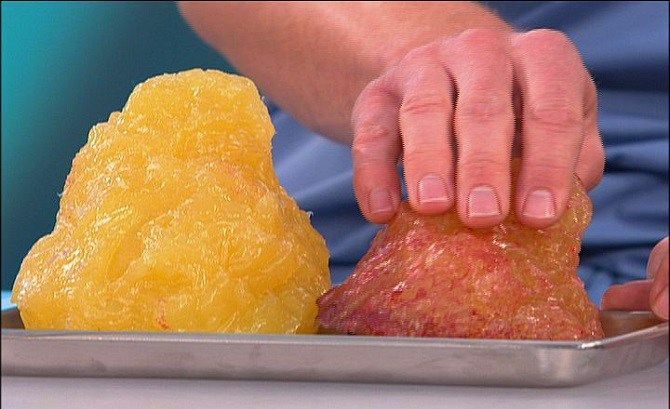 A certain proportion of the adult population has not only white adipose (or fatty) tissue (left), but also the brown kind (right). This brown adipose tissue helps to convert sugar and fat into heat. People with brown adipose tissue are better at regulating their body temperature in the winter, and are less likely to suffer from excess weight or diabetes. An international team of researchers led by Dr. Christian Wolfrum, Professor for Translational Nutritional Biology at ETH Zurich, has now discovered that the statin class of pharmaceuticals reduces the formation of brown adipose tissue. The article was published online on December 20,2018 in Cell Metabolism. It is titled “Inhibition of Mevalonate Pathway Prevents Adipocyte Browning in Mice and Men by Affecting Protein Prenylation.” Statins are prescribed as a way to reduce the risk of a heart attack because they reduce cholesterol levels in the blood. They are among the most commonly prescribed drugs worldwide. Dr. Wolfrum and his colleagues have been researching brown adipose tissue for many years. They looked into the question of how "bad" white fat cells, which form the layer of fat under our skin, become "good" brown fat cells. Having conducted cell culture experiments, they found out that the biochemical pathway responsible for producing cholesterol plays a central role in this transformation. They also discovered that the key molecule regulating the transformation is the metabolite geranylgeranyl pyrophosphate. Earlier studies showed that the cholesterol biochemical pathway is also central to the functioning of statins; one of their effects is to reduce the production of geranylgeranyl pyrophosphate. This is why the researchers wanted to know whether statins also impact the formation of brown adipose tissue. A homeless individual is one who lacks fixed and reliable housing, and approximately 553,000 people fit that description on any given night in the United States. A new retrospective cohort study led by investigators from Beth Israel Deaconess Medical Center (BIDMC) and Brigham and Women's Hospital in Boston examines patterns, causes, and outcomes of acute hospitalizations between 2007 and 2013 for homeless individuals and non-homeless control groups in three populous and diverse U.S. states: Florida, California, and Massachusetts. Data suggest a rise in acute hospital use among homeless individuals for mental illness and substance use disorder. The results were published in the January 2019 issue of Medical Care. The article is titled “Trends, Causes, and Outcomes of Hospitalizations for Homeless Individuals--A Retrospective Cohort Study.” "The homeless population is aging, and the rate of hospitalizations for homeless individuals is increasing," said lead author Rishi Wadhera, MD, an investigator in the Smith Center for Outcomes Research in Cardiology at BIDMC. "Although there has been a recent push to establish better policy and public health measures to improve the health of homeless adults, few studies have examined the patterns and causes of hospitalizations in this population. We found that hospitalizations among homeless adults tend to be for a very different set of conditions than non-homeless adults, even after accounting for differences in demographics." To examine these trends, hospital discharge data was acquired from Massachusetts and Florida between 2001 and 2013 and from California between 2007 and 2011. IONTAS Limited (IONTAS), a leader in the discovery and optimization of fully human antibodies, announced that its Founder and Chief Executive Officer, Dr. John McCafferty (photo), was invited to attend the Nobel Prize Award Ceremony in recognition of his pivotal contribution to the development of antibody phage display technology. The event, held in Stockholm, Sweden, on December 10, celebrated the 2018 Nobel Laureates and the success of phage display technology in modern drug discovery and development, which the Royal Swedish Academy of Sciences recognized in this year’s Nobel Prize in Chemistry (https://www.nobelprize.org/prizes/chemistry/2018/press-release/). Sir Gregory Winter (MRC Laboratory of Molecular Biology, Cambridge, UK) and Dr. George Smith (University of Missouri, Columbia, Missouri, USA) jointly received one half of the Nobel Prize in Chemistry 2018 “for the phage display of peptides and antibodies.” Dr. Frances Arnold (California Institute of Technology, Pasadena, California, USA) was awarded the other half “for the directed evolution of enzymes.” Dr. Smith published his breakthrough paper on display of peptides on filamentous bacteriophage in 1985. Inspired by this, Dr. Winter and Dr. McCafferty then applied the approach to antibody display, with the aim of producing new pharmaceuticals. While working in Dr. Winter’s group, Dr. McCafferty became the first to demonstrate the display of functional antibodies on the surface of phage (McCafferty et al., Nature, 1990) (https://www.nature.com/articles/348552a0). This landmark achievement, cited by the Nobel committee, made it possible to create “libraries” of phage particles containing billions of different human antibody genes from which antibodies to any target could be easily isolated. The Precision Medicine World Conference (PMWC), celebrating ten years of operation, will take place at the Santa Clara Convention Center (Silicon Valley, California) January 20-23, 2019. This is expected to be the largest Precision Medicine World Conference ever, with 2,500 attendees. This amazing gathering of prestigious experts in multiple inter-related fields and those interested in learning more is co-hosted by UCSF, Stanford Health Care/Stanford Medicine, Duke University, Duke Health, and Johns Hopkins University. The program will cover innovative technologies, thriving initiatives, and clinical case studies that enable the translation of precision medicine into direct improvements in health care. Conference attendees (https://www.pmwcintl.com/about/#audience) will have an opportunity to learn first-hand about the latest developments and advancements in precision medicine and cutting-edge new strategies and solutions that are changing how patients are treated. The conference’s five-track program will include sessions on the following major topics, among many others: AI & Data Science; Clinical & Research Tools; Clinical Diagnostics; Creating Clinical Value with Liquid Biopsy ctDNA, etc. ; Digital Health/Health and Wellness; Pharmacogenomics; Emerging Technologies in Precision Medicine; Immunotherapy; Large-Scale Bio-Data Resources to Support Drug Development; Rare Disease Diagnosis; and Wellness & Aging. Conference organizers have assembled a hugely impressive lineup of 450+ highly regarded speakers, featuring pioneering researchers and authorities across the healthcare and biotechnology sectors (https://www.pmwcintl.com/2019sv/speakers/). The conference will begin with the presentation of the PMWC’s prestigious Luminary & Pioneer Awards (https://www.pmwcintl.com/2019sv/awards/). 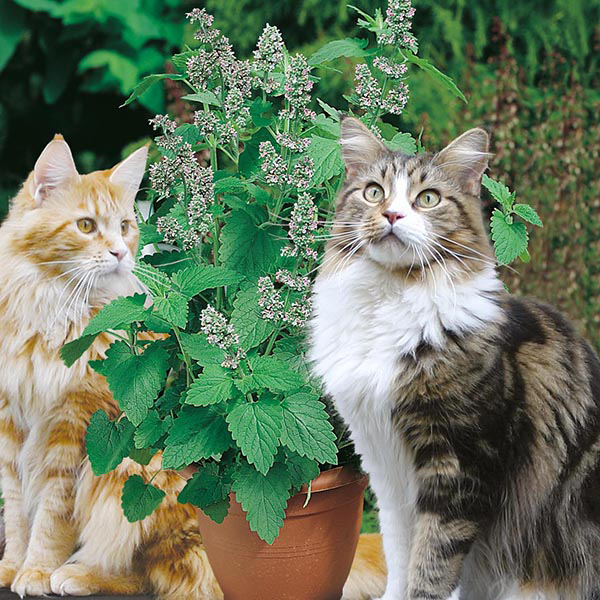 Researchers at John Innes Centre in the UK have shed light on how catnip – a plant from the genus Nepeta and also known as catmint - produces the chemical that sends cats into a state of wanton abandon. The remarkable effect catnip has on cats is well known thanks to the scores on online videos showing pets enjoying its intoxicating highs. The substance that triggers this state of feline ecstasy is called nepetalactone, a type of chemical called a terpene. This simple, small molecule is part of an unusual chain of events, not previously seen by chemists. The researchers believe that understanding the production of these nepetalactones could help them recreate the way that plants synthesize other chemicals like vinblastine, which is used for chemotherapy. This could lead to the ability to create these useful medicines more efficiently and quickly than we are currently able to harvest them from nature. Usually in plants, for example peppermint, terpenes are formed by a single enzyme. In their paper published online on December 10, 2018 in Nature Chemical Biology, the John Innes researchers report that, in catnip, terpenes are formed in a two-step process; an enzyme activates a precursor compound which is then acted on by a second enzyme to produce the substance of interest. The article is titled “Uncoupled Activation and Cyclization in Catmint Reductive Terpenoid Biosynthesis.” This two-step process has previously never been observed, and the researchers also expect something similar is occurring in the synthesis of anti-cancer drugs vincristine and vinblastine from Madagascan periwinkle, Catharanthus roseus, and elsewhere in olive and snapdragon. In the publication, the team describe the process by which catmint produces nepetalactone in microscopic glands on the underside of its leaves. Advances in rapid screening of leukemia cells for drug susceptibility and resistance are bringing scientists closer to patient-tailored treatment for acute myeloid leukemia (AML). Research on the drug responses of leukemia stem cells may reveal why some attempts to treat are not successful or why initially promising treatment results are not sustained. AML is a serious disorder of certain blood-forming cells. In this disease, certain early precursor cells in the bone marrow that usually develop into white blood cells don't mature properly. They remain frozen as primitive cells called blasts, unable to further differentiate and mature. These can accumulate and cause low blood counts that reduce the ability to fight infections, and low platelet counts that cause risk of life-threatening hemorrhage. Leukemia stem cells - the progenitors for the immature, cancerous blood cells - propagate AML, and also play a role in the cancer returning after treatment. 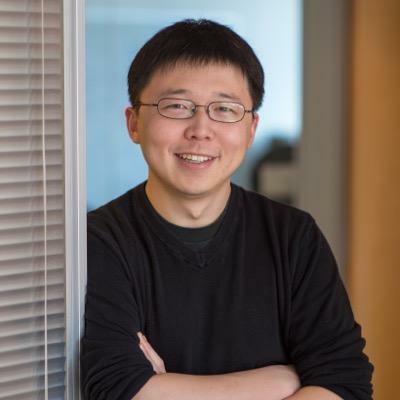 Cancer researchers are interested in how genes are expressed in this cell population, because this data may hold clues to resistance to standard therapies and answers to why some patients relapse. A study presented at the 60th Annual Meeting of the American Society of Hematology in San Diego (December 1-4, 2018) looked at the drug response patterns of stem cells and blast cells taken from individual patients diagnosed with AML. The information was gathered through high-throughput screening, a state-of-the-art method for quickly evaluating and testing many samples. The researchers found that leukemia stem cells and blast cells diverged in their drug susceptibility patterns, and also that these patterns differed from patient to patient.